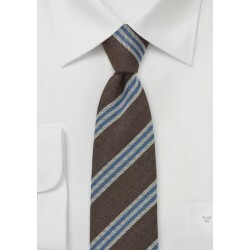 Below we feature our current assortment of brown ties. 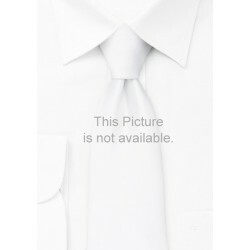 Please click on your favorite brown tie below for matching tips, to see a larger picture, as well as to purchase the tie. 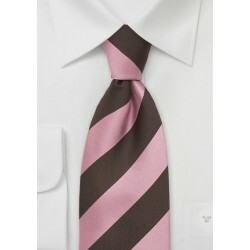 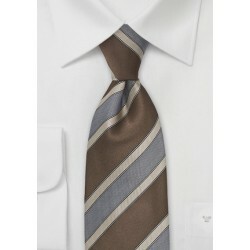 Brown is a stable and mature color that looks best in combination with other natural color shades on shirt and suit. 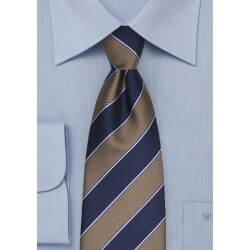 Thus, the navy blue and the olive-green suit are two of the best color choices for the brown necktie. 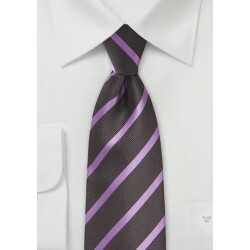 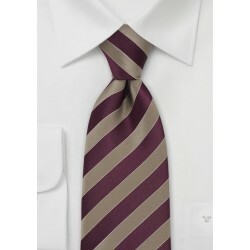 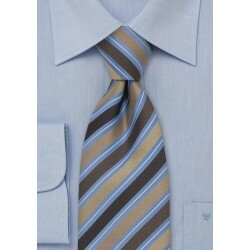 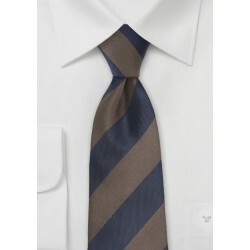 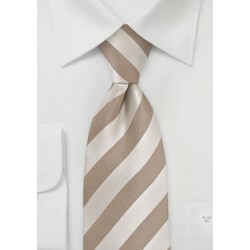 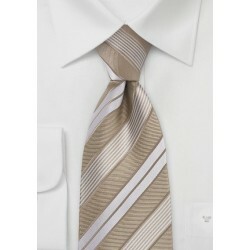 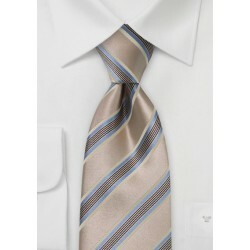 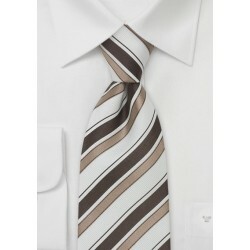 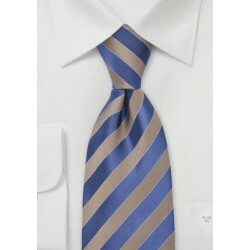 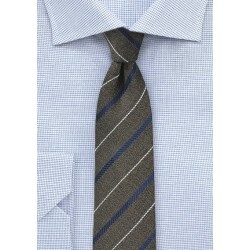 Good shirt choices for brown ties are, besides the classic white, tan, beige, blue, and light yellow. 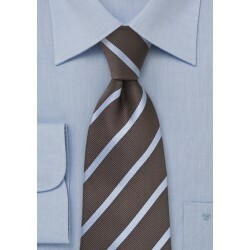 Our assortment of brown ties ranges from a very light wheat color to a dark chocolate brown. 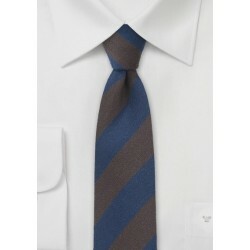 Most of the neckties featured above are medium to dark browns such as: Umber, Siena, Copper, Chocolate, Chestnut-brown, and maroon. 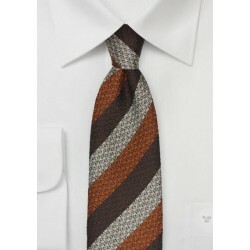 If you are looking for a lighter shade of brown then we suggest you have a look at our assortment of Tan Ties. 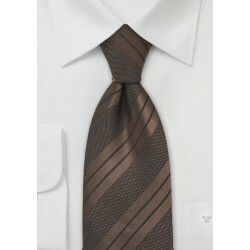 Brown is a color that is typically associated with stability, maturity, and approachability. It is the color of earth and therefore associated with anything natural and organic.